But I know it can be! Let me know what you guys think. 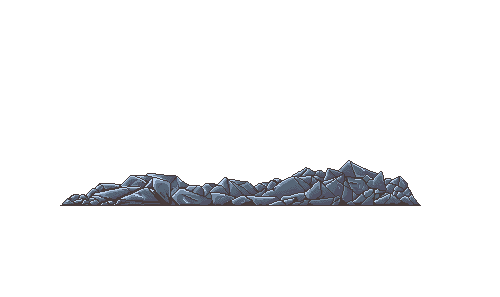 Gonna mess with the pallete a bit. I have a couple extra colors lurking in there.. I found 2 of them it should be 5 colors. Is there a way to display the colors you are using on the current layer or in general in Graphics Gale? Thanks! 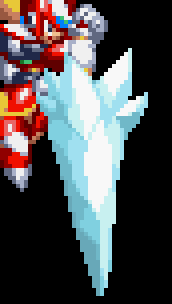 When having two clearly (not gradient) separate shades on the same face, you negate the possible feeling of 3d direction, I think. Faces should be shaded according to their direction towards light. The white stuff is like some kinda "paste" holding the faces into place, I assume. I changed it into a dark color, since I think it fits better (since these narrow edges don't usually get enough light to be white) although right now it looks kinda bad. If I had kept editing, I would have made the lines thinner, probably. ice is extremely hard to paint. This means you work with strong straight lines sharp angles. try to emphasize the length with vertical lines, rather than with small cracked planes. What makes ice so difficult are the reflective and transparent qualities - to capture those believable you need a lot of practice. I added them to my edit, but try to focus on the more simple things before. For ice crystals, I tend to draw the transparent nature first, then draw the reflections on top. Trying to do both just ends up being impossible and tends to look bad. Basically, I start with the dark shades and try to get a believable transparent nature, then I ad mostly pure white reflections on top. Cyangmou's edit is a perfect example (better than I can do). 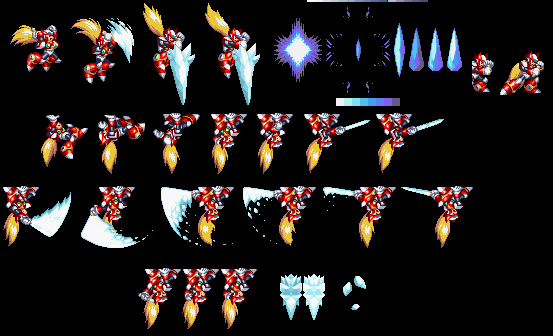 some of the best ice I have ever seen is from megaman x.
I have tried to replicate it a few times but I always struggle.